I picked this system up more or less on a whim, but it’s become one of the pride and joys of my collection. 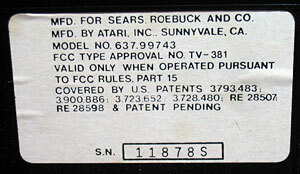 This is an original 1977 Sears Video Arcade – the “heavy sixer”. 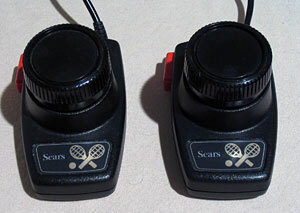 Atari made these both under their own brand name and under the Sears brand name in order to be sold in Sears stores, and they only made the “heavy sixer” model for one year. Not particularly rare but becoming less common these days, as it seems most of those that remain serviceable have by now officially changed hands from the average consumers looking to dump them to the collectors (like me) that highly prize them. I got mine through Ebay, an auction run by some guy who obviously knew nothing about this stuff, had a blurry pic that didn’t identify this as a heavy sixer at all (I thought I was just buying a common 6 switch model), and no real description. My final bid was around $13. 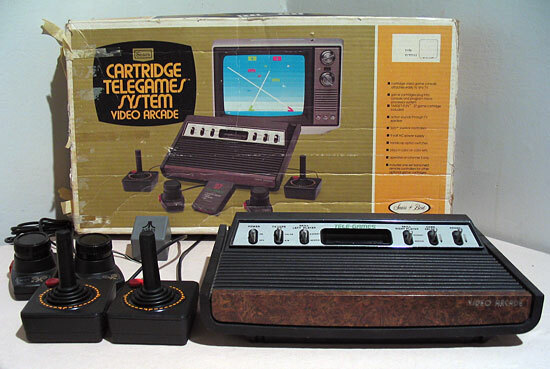 You’ll never do that well today on a system like this. They are still available there, but the ratio of buyers to sellers favors high prices these days. Unfortunately, the power supply’s busted but I keep it because it’s rarer than the system itself. These power supplies are notoriously unreliable so most people with heavy sixers have replaced theirs. 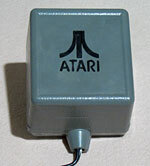 (I just use another 2600 power supply when I actually play games on this thing.) All the other accessories work perfectly. I love this system; it’s easily one of my favorites. Just look at it! It’s a tank with that 1/4″ thick plastic base, and that faux-marble woodgrain! 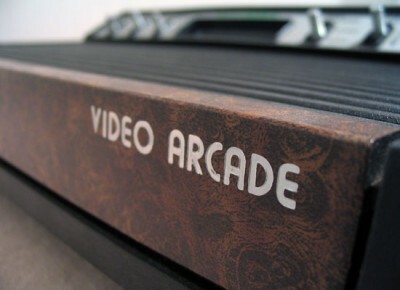 I think it’s even better-looking than the Atari-branded VCS. I have a four-switch 2600, but it’s in such sorry condition that it’s barely worth mentioning. 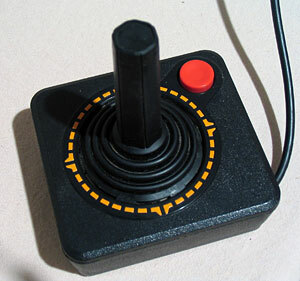 It does work, but you have to pull on the controller cord to make the button work. It’s also pretty bad cosmetically. I really only got it because it came with a bunch of games and cost $20 and I’d been after one. If I got another one though, it’d surely be one of these. The condition mine is in suggests that this is an ugly system, but yours just looks amazing.